Most Kickstarter projects, at their heart, are a delightfully selfish proposition. I give you money, but you give me a sweet pen, which I will then lord over everyone else in my day-to-day activities. There’s nothing wrong with that. I like that. But the CursiveLogic Kickstarter is a little different. Sure, I can give money and receive a sweet book on how to learn cursive, but that money is supporting a fantastic new system of learning the perpetually-dying art of writing by hand. Heck, you don’t even have to receive the books yourselves. You can gift them to schools. Schools full of children. Children who can learn and ENJOY cursive writing. 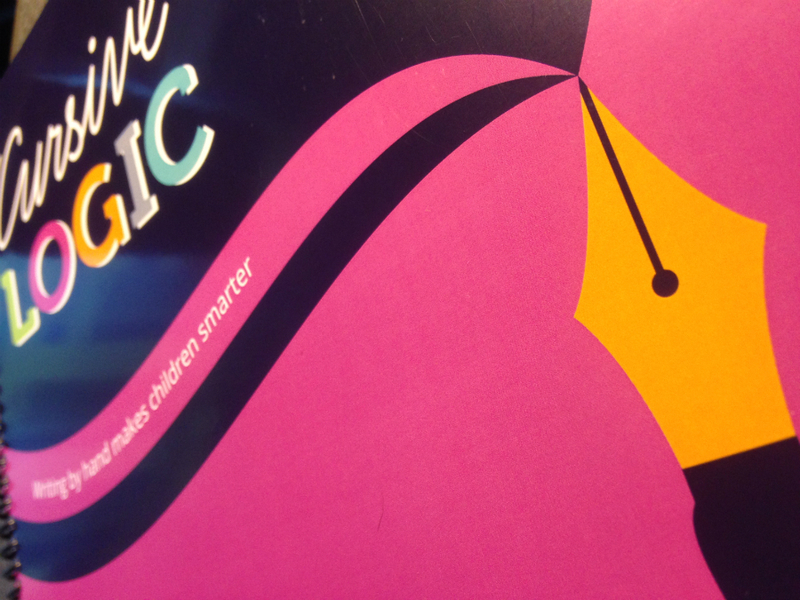 Imagine a new army of little cursive writers. They will demand better pens to showcase their beautiful writing. The slow revival of fountain pens will explode with the force of a million tiny hands. Or give them to adult learning facilities. Though the books are colorful and fun, they don’t rely on childish gimmicks to try to force children to participate, and thus are appropriate for all ages. The draw is in the beauty and function of the writing itself. 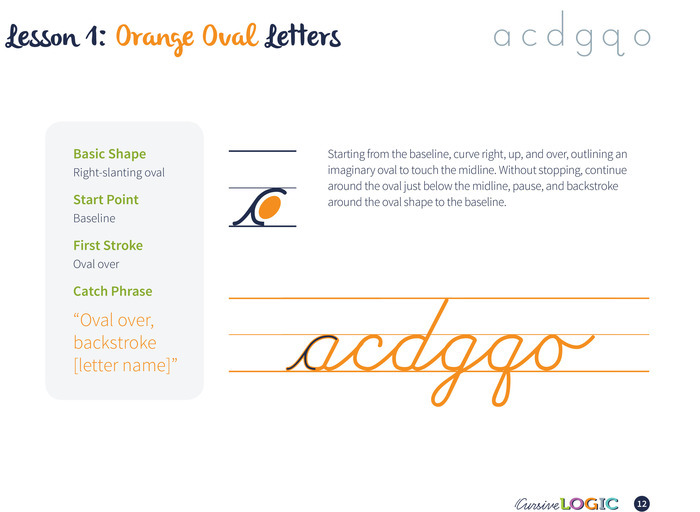 The CursiveLogic system for teaching the cursive alphabet makes a lot of sense—breaking it down into a few basic shapes, reinforcing with colors, catchy phrases, etc. I wish learning cursive had been like this when I was in school. Take a look at the CursiveLogic Kickstarter page, which explains the whole system a lot better. I’ve been sent an advance copy to look through and it looks great. Simple, but, dare I say, logical.